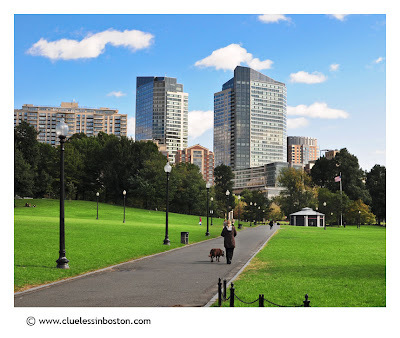 By the Parade Grounds on the Common, heading towards Tremont Street. Nice, clear image. Makes me want to take a walk in the sun. Looks like your Fall colors are lagging. great photo. looks very inviting! Great day to spend the day. Just you and your dog.